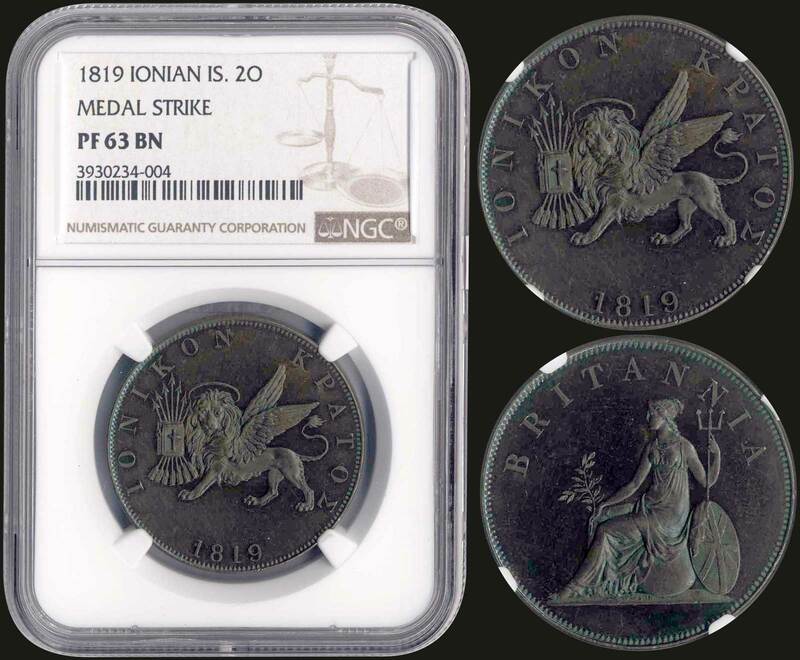 2 Obols (1819) in copper with "ΙΟΝΙΚΟΝ ΚΡΑΤΟΣ" & "Venetian lion". Variety: Medal alignment. Inside slab by NGC "PF 63 BN - MEDAL STRIKE". Only one exist with higher grade from PCGS. (Hellas I.18a).